What I think makes agood story is a situation that is either new or old but loved by everyone no matter how many times it is replayed. 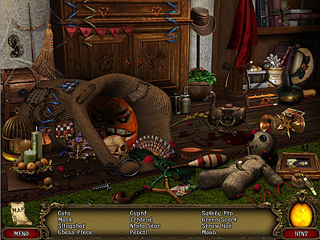 Tales of Sorrow: Strawsbrough Town tells you a story that I think falls into the latter category and is a great choice for a hidden object puzzle adventure game. The game offers two modes of difficulty. The hint works throughout the game. You join a couple that celebrates their first anniversary in the town of Srawsbrough. Soon they learn that it was a bad choice for the event. An old lady persuades Melissa to put on an old ring that happens to be cursed. This makes her fall asleep forever. Her husband is now challenged with the finding the way to wake her wife up. This makes him go to different citizens of the town for some sort of help. This is what I like. You have to meet this wide range of characters from a mayor to a sad clown and a fortune teller. The graphics and the voice over are done pretty good. The game offers two modes of difficulty. The hint works throughout the game. You get hints in the hidden object levels. You go to hints if you need help or want to skip mini-games. And the hint button turns into a small strategy guide as you play the adventur part. 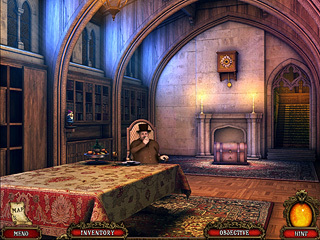 The hidden object levels have no interactive part to them, which is a bit of a bummer. The mini-games are fun to play even though both of the parts are quite easy. The game is going to be a disappointment for some, I assume. But many will find it entertaining, too. This is Tales of Sorrow: Strawsbrough Town review. Download this game here.